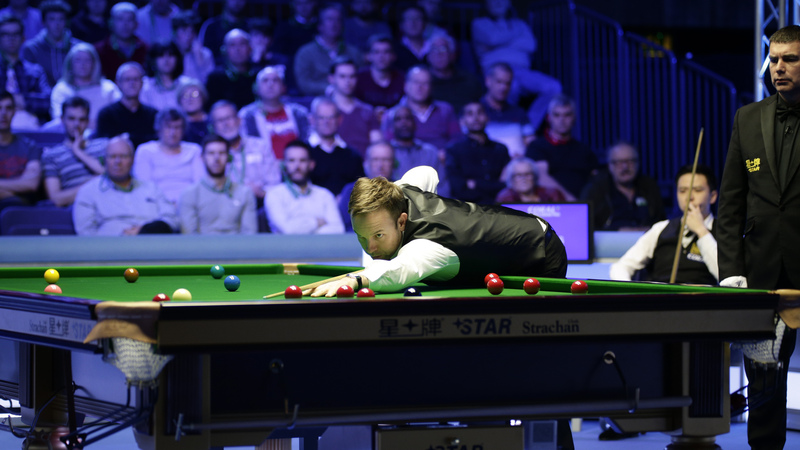 Day 5 in Cheltenham delivered a first finalist, Ali Carter and an interesting line-up for the second semi final, with Barry Hawkins facing Judd Trump. 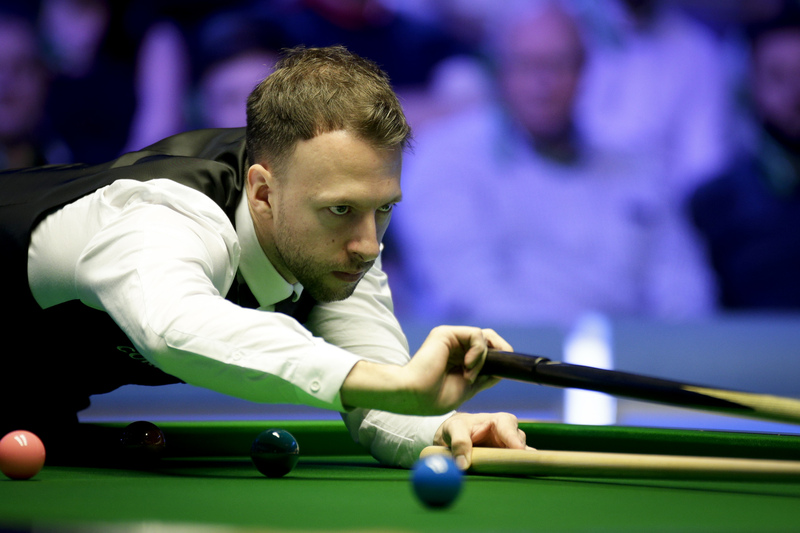 Masters champion Judd Trump produced an imperious display to sweep aside world number one Mark Selby 5-1 and reach the semi-finals of the Coral World Grand Prix. The victory sees Trump through to the last four of a ranking event for the 31sttime in his career. The Ace in the Pack has now edged ahead of Selby in the head-to-head stakes, leading 6-5 having also beaten him on his way to winning the Masters last month. Selby will have to wait a bit longer to end his run without claiming ranking silverware in the UK, which extends back to the 2017 World Championship. The three-time Crucible king faces a battle to keep a hold of his world number one spot, with both Mark Williams and Ronnie O’Sullivan currently projected to leapfrog him in the provisional end of season rankings. Both Trump and Selby have already secured their progression to the next event in the Coral Series, the Players Championship. The top 16 players in the one-year money list will go on to compete at the iconic Guild Hall in Preston. The best eight will then gain a place at the Tour Championship in Llandudno. Trump currently sits in sixth position, with Selby in third. Throughout this afternoon’s clash, Trump’s long potting proved to be a key weapon. The 29-year-old recorded a 100% conversion rate, making 7/7 from long range. That afforded him several opportunities to make breaks and he took full advantage. Trump composed runs of 77 and 86 on his way to leading 3-1 at the mid-session interval. When the players returned Trump reeled off his required two frames in under 30 minutes, composing runs of 102 and 72 to secure the win. Trump’s opponent in the last four will be Barry Hawkins, who came through with a comfortable 5-2 defeat of last week’s German Masters winner Kyren Wilson. Hawkins, who was a finalist at this season’s Shanghai Masters, produced a ruthless display of break building to surge to victory this afternoon. He composed breaks of 134, 64, 63 and 116 on his way to the win. Trump and Hawkins will face each other for a place in the final over the best of 11 frames tomorrow evening. Judd Trump played very well indeed, but wasn’t put under any pressure by Mark Selby whose long game simply wasn’t there. His long pot success was below 20% which means that he was not able to create opportunities for himself from distance. As a result social media was full of “Trump is the man to beat at the Crucible”, “He’s the real n°1” and similar. Sorry but that’s nonsense until he can play this way consistently, which he isn’t currently as his recent trouncing by Maguire in the German Masters proves, as do the rather unconvincing performances he had earlier this week against Stuart Carrington and Tom Ford. The Crucible of all places is a test of consistency. Ali Carter is through to the ninth ranking final of his career after a dominant display saw him thrash China’s Xiao Guodong 6-0 in their semi-final at the Coral World Grand Prix. The Captain last graced a ranking event final at the 2017 German Masters, where he lost out in a hard fought battle with Anthony Hamilton. Two years on, Carter will be hoping to go one step further and secure his first silverware since the 2016 World Open, where he defeated Joe Perry to claim the title. Carter is now guaranteed a pay cheque of £40,000 and could pocket the top prize of £100,000 if he is victorious in the final. Xiao leaves Cheltenham disappointed after an edgy performance in his fourth ranking semi-final. However, he heads to Cardiff for next week’s Welsh Open with the consolation of £20,000 for reaching the last four. Carter started this evening’s clash at breakneck speed. After trailing in the early stages of the opening frame, Carter embarked on a run of 382 unanswered points to claim a clean sweep of frames before the mid-session. Breaks of 54, 99, 71 and 126 fired him into a 4-0 lead. When the players returned a dramatic fifth frame ultimately put paid to Xiao’s chances. The Chinese cueman appeared to pot the final black to take the frame, only to go in off and take the frame to a re-spot with the scores tied at 59-59. Eventually Carter deposited a tough long range pot with the white glued to the top cushion to lead 5-0. The Captain sealed victory in the following frame to set up a clash in the final with either Judd Trump or Barry Hawkins. Carter said: “I’ve been 8-4 in front of Shaun Murphy in the semi-finals of the UK Championship. He beat me 9-8 and I was devastated. I’ve played the game too long to take liberties when I am in front. I have a lot of battle scars really. That is why sometimes it can be harder to get over the winning line. I am delighted to win today because that was a big match for me. It has been a while since I’ve been competing at the top level. Ali Carter was very solid, and Xiao had a real nightmare. That sums up the match. Xiao didn’t play well and, to top it off, everything conspired against him on the night. Whatever happens in the remainder of this tournament, the line-up for the next showpiece, the Players’ Championship in Preston, is looking clear-cut. There is a gap of 20000 between John Higgins (16th) and Martin O’Donnell (17th). An outsider is probably going to have to win the Welsh Open to break into the 16 (although there is also the Shoot-Out to scrape a few extra points). Ding Junhui or Shaun Murphy may be capable of doing that, but it’s a long shot. What about the Indian Open? You are right! The Indian Open does count, which is almost unbelievable considering it finishes the day before the PC starts. Another crazy schedule, as yet again they have programmed the draw based on ranking, so won’t be known until the Indian Open finishes, causing uncertainty for everyone, especially the players who don’t know when they will be playing. Some day, a player will have to withdraw from one of these events because of a travel delay. With only 1 table, that will mean a session gets cancelled. To be fair, this situation has only occurred because of the unfortunate postponement, but we’re getting more and more of these close shaves.